What’s that? Kind of a neo post rock band? Certainly not. 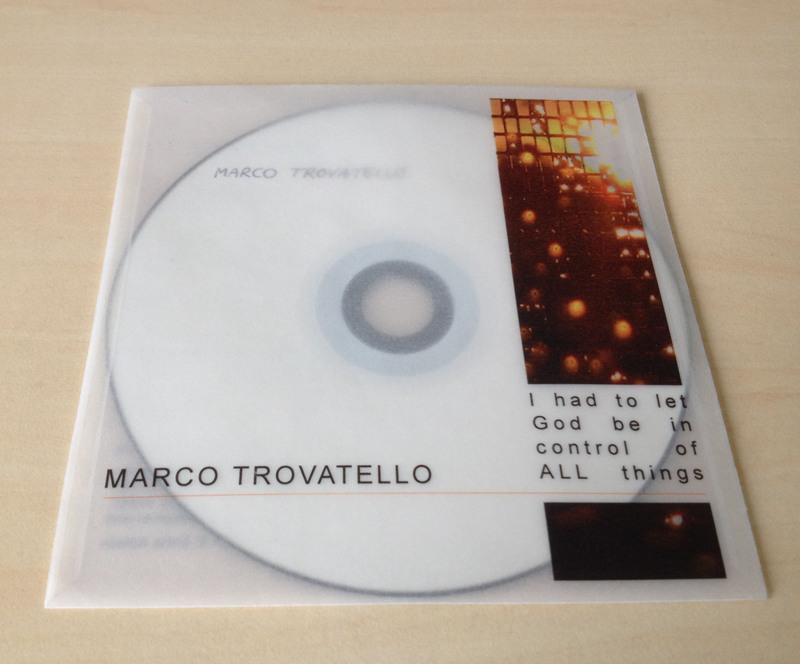 It’s Marco Trovatello, all by himself. He lined up the band in an almost classic way with Drums, various bass guitars, guitars and synthesizers. Plus, he also invited himself as a guest musician on Glockenspiel, Violin and various small toy instruments. In the past that was probably called a ‘multi-instrumentalist’. It’s pretty normal though for Marco, who amalgamates electronic with electric and acoustic instruments to become his very own musical style here. And one really couldn’t care less about what is played and recorded at one go, what is meticulously programmed, sampled, looped, stretched or however processed, as long as it all fits together and sounds as beautiful as it does. Nevertheless, the bass guitar deserves particular attention. Marco often uses his Fender Jaguar Bass VI custom. This six-stringed instrument is tuned E-E (if in standard tuning, which Marco doesn’t use often), one octave lower than a standard guitar. In that sense it is similar to a bass, but with regard to his musical arrangements it just fits perfectly in between the bass and guitar range. 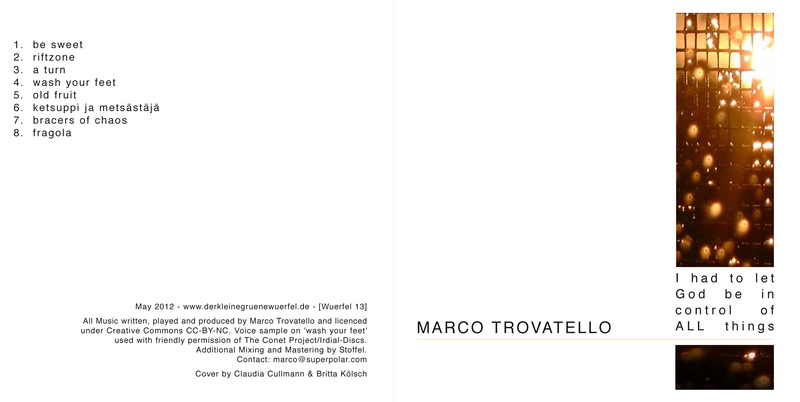 To clear the space for this distinctive sound is a challenge which Marco clearly managed. Being a member in various indie and post rock-ish instrumental bands for many years he knows perfectly about the specialities and particular roles of the instruments. Thus, he – sort of – already took care about all the other instruments when recording the very first instrument track or loop and made way for subsequent sound layers. What came off is a wonderful, homogenous record with timeless instrumental musical pieces. But wait, did we say record? Oops, for a moment we forgot that we’re a netaudio label and it’s a digital album – but not only: You may as well purchase it as a classic album (see image) on a black surface CD-R with a beautiful, handmade cover on tracing paper, limited to 50 copies, at a cost price of 6 Euro plus postage via Bandcamp.. Please get in touch regarding shipping details. Should you be in Cologne, you may also purchase the CD-R at Parallel Schallplatten.